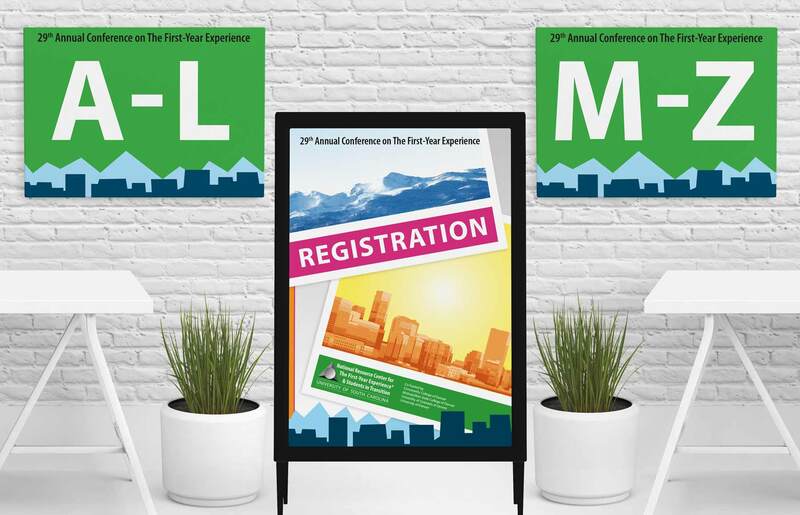 The National Resource Center for the First-Year Experience & Students in Transition at USC was planning their internationally renowned annual conference in Denver, Colorado and they needed a graphic designer to get the word out and inspire attendance. 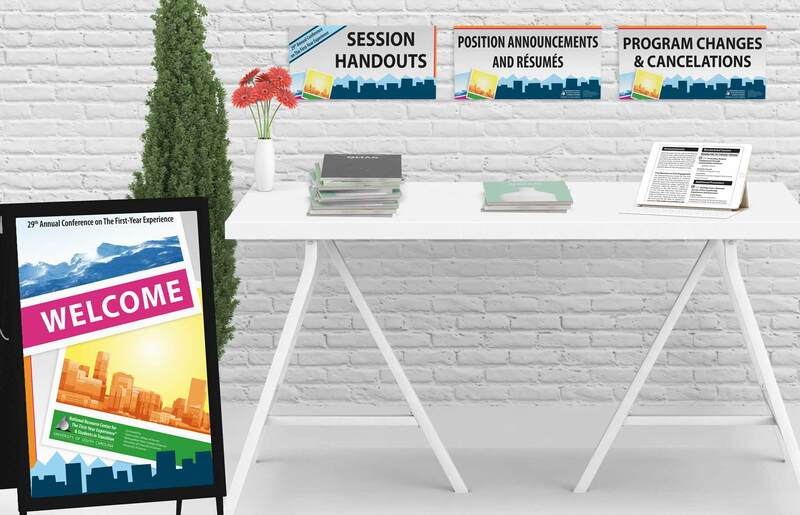 I developed the look and designed many marketing materials: a call for proposals, posters, flyers, banner ads for the web, notebook covers, signage, pens, and name tags. 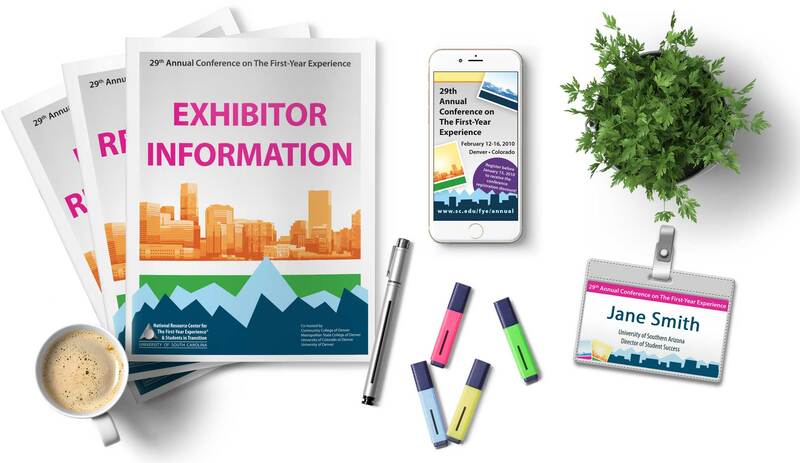 The look was crafted after researching Denver and being inspired by all the bright colors – especially the kaleidoscope landscape, the flowers in Civic Center Park, the bright design of the official Denver website, and the giant blue bear at the museum. 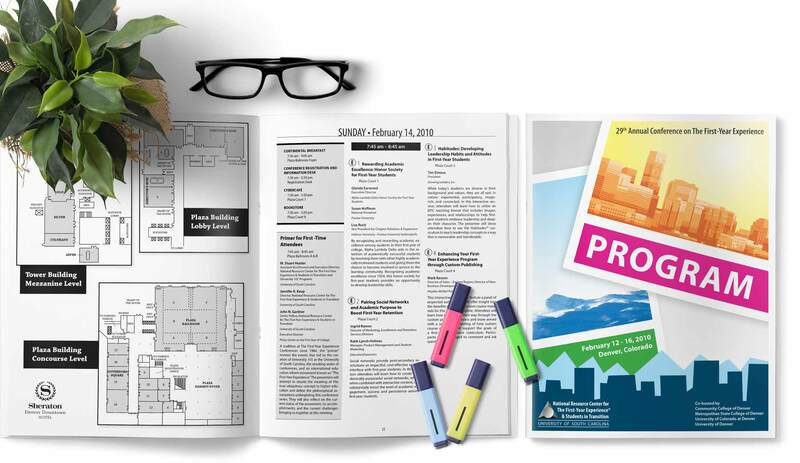 The initial image is the front for the exciting call for papers and conference announcement – it is a 12″ x 11″ brochure folded once to be 6″ x 11″ flat. The size guarantees it will stick out in a stack of snail mail and still gets the low postcard postage rate. Poster designs in various sizes for various purposes. 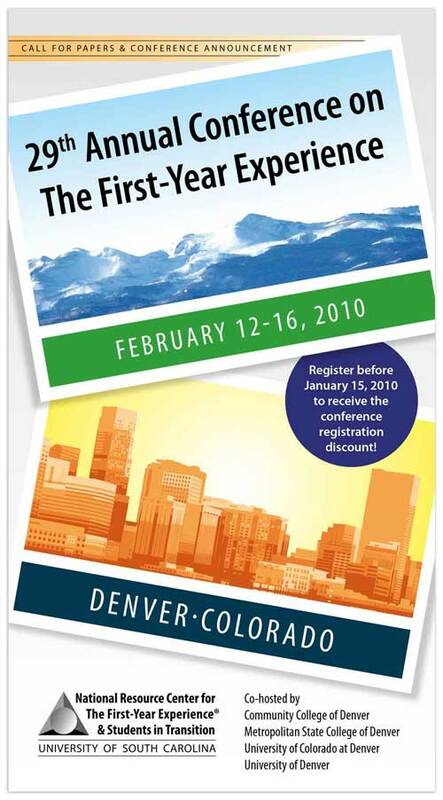 Poster designs in various sizes for conference registration. Let's talk about how I can help grow your business!